Closets that withstand a kid's wear-and-tear! Children change and grow, seemingly daily. You need a closet system that can change and grow with them. 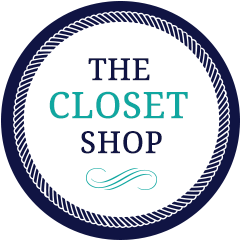 The Closet Shop offers a wide variety of designs to meet those ever-changing demands with our perfect closet systems for children and teens. Choose from an array of durable, flexible and attractive choices that will make you and your kids happy. Designed to withstand the challenges and wear-and-tear only kids can deliver, our closets offer moisture, stain and dirt-resistant components. Worried about all the shoes? Not anymore! Closet Shop offers designs that include adjustable shelving and shoe fences that keep things neat and tidy. We have tilt-out hampers too. As with all our systems, there's a lifetime guarantee on wood components. Our service area includes the Philadelphia suburbs including Bucks County & Montgomery County PA, the Lehigh Valley including Allentown & Easton PA, central New Jersey including Hunterdon County & Mercer County, NJ. © The Closet Shop; all rights reserved. Website by Mikula Web Solutions, Inc.